We’re continuing Willow’s series on God’ Not Dead today, but first I’m responding to a challenge from The Relevant Christian Magazine (click to find out more). 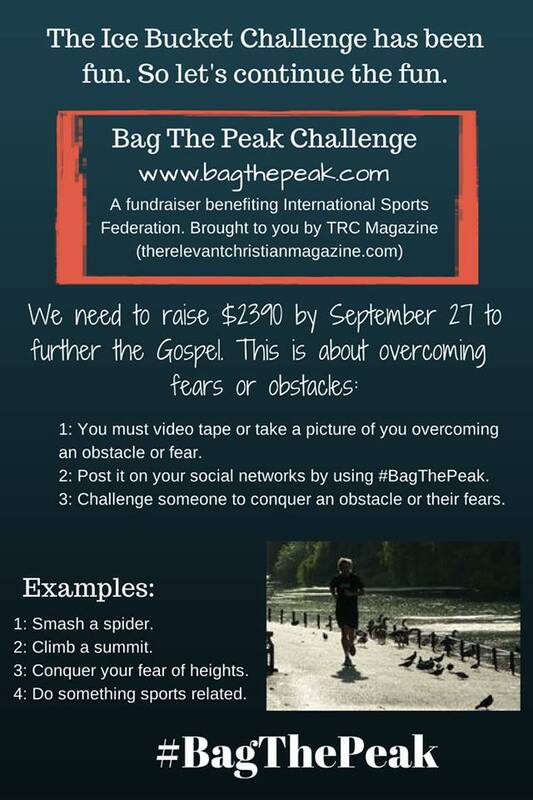 Watch my video to see my #Bag the Peak challenge (you’ll have to follow the link, I wasn’t able to post it here) and consider this your invitation to participate! For the introduction to Willow’s Series, click Here. Hello once again! I hope this blog finds any who read it to be well…if not physically, then spiritually. 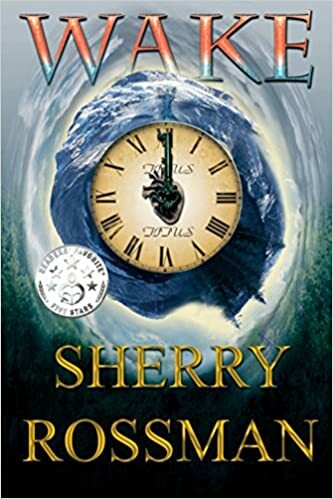 Thank you Sherry for allowing me to continue with points from the movie God’s Not Dead, and today we will discuss the spiritual skeptic. At one point in the beginning, the professor in the movie tried to present the idea that there is no heaven (and thus no God). Or if there is a heaven, all good people go there…and you don’t need God for that. He would have been alright with someone who wanted to believe in Buddha or coexisting. But there are big problems with that. The spiritual skeptic wants to get to heaven their own way (and thinks everyone else should too). “But for freedom gained by climbing toward heaven (the skeptic believes this is the place all good people go after they die to have an eternally good time) in one’s own way, there is the unending burden of the climb itself…spirituality provides a temporary, feel-good sense of accomplishment, but it is a futile, self-serving attempt at salvation.”1 Only in acceptance of Jesus as your Savior does one get to heaven not by our own works, but by grace. Why don’t more people accept Jesus then? Because to surrender self-rule is probably the most difficult thing for mankind to do. Questions such as “People can get to heaven by many different ways…” or “To achieve enlightenment one must meditate…” or “What we believe in, our thoughts and words all shape our reality…” are all reasons people turn to religion…to be set free from the problems of our moral world. The Creator God has given us an internal drive for spiritual freedom and most people strive for it (Ecclesiastes 3:11–He hath made every thing beautiful in his time: also he hath set the world in their heart…) Unfortunately many people are mislead by the Root Idea that good works get you to heaven. In this manner, a person’s spiritual beliefs allow the individual to set the rules in which the deity of his or her choice will operate. Often they believe that if they (or anyone) is basically good, they can get to heaven. And by basically good they mean doing more good than bad deeds. This line of belief exaggerates the character of man, and/or diminishes the nature of God. There is a major flaw in this thinking. Ask the Probing Question…how good is good enough? If a basically good person can get into heaven, then they believe in a god who has compromised standards so that man can fulfill the perfect standards of God. But the only standards worthy of a true God is perfectionism. No basically good person would be admitted into Harvard, or medical school, or be allowed to play on a NFL team. Nor would Bill Gates hire a basically good programmer, nor Donald Trump hire a basically good businessman, etc. You get the point. It is puzzling as to why people change the standards when it comes to God. Especially when Christianity is the only religion where God demands payment for sin (because heaven is a perfect place) and then provides the payment. You see, God must be satisfied by the only known source of perfection…God Himself. But He gives each individual a choice if they refuse His grace…that is God will then judge that person by their own standards (a scary thought) because God’s standard is perfect righteousness, not mere human goodness. Besides if basically good people are the ones who will populate heaven, how will heaven be much different than our current fallen world? “Man cannot enlighten himself because his nature is where the problem is. ‘The heart is deceitful above all things and beyond cure. Who can understand it?’ [Jer. 17:9]…how did the guru get beyond his own flawed nature? …if man is really divine and only needs to re-recognize his divinity, how did he lose touch with it in the first place? If the divine can be corrupted, is it really divine?…Only a true Divine source beyond man can provide enlightenment…”2 “Meditation seeks a connection to an impersonal force; prayer seeks a relationship with a personal being.”3 Prayer is active while meditation is passive. Then there are times that the skeptic can get frustrated and hostile and turn to name calling. One of the favorites is, organized religion. Let’s define what they mean by that; a narrow, dogmatic, hypocritical belief system. They often believe that churches are filled with hypocrites. And while hypocrites can be found everywhere including the church along with plenty of genuine Christians filled with integrity, it is not the people in the church that give salvation, it is Christ. If you dig a little deeper you will see that hypocrisy is not the main objection that spiritual skeptics have towards organized religion, but authority. You see “…personal experience and discovery are their primary source of authority.”4 Organized religion challenges this authority and requires adherence to a set of beliefs that don’t match their experience. And they don’t like that. They would rather have their own customized religion so they can have the freedom to assemble their own beliefs. “The trade-off is that there is no accountability and thus, no true growth.”5 An analogy is a person who is partially blind that needs and operation. Because he is partially blind, even if he were a skilled eye surgeon, would he be able to operate on his own eye? Like wise, since man is a product of a broken world, his ideas of how to fix himself are also broken. Two other red flag words to be aware of are holy and karma. The skeptic’s meaning of holy usually means something that has a lot of religious tradition associated with it. “From a human perspective, God’s holiness is both His greatest and most terrifying attribute. What the paradox skeptics miss about God’s holiness is that it repels us from Him while being the only thing (Jesus’ sacrifice) able to reconnect us to Him.”6 And their meaning of karma is my good deed will return to me (either now or in the next life), I create my own reality. What these skeptics fail to see is that it is a merciless, unending cycle of rebirths and suffering without any assurance of freedom. Karma perpetuates the presence of evil because one who does evil in this life must be cursed by it in the next. Check out Willow’s weekly blog here. 1-7Foster, Bill. “Meet the Skeptic, A Field Guide to Faith Conversations.” Master Books, Green Forest, AR, 2012. Pp 97-107. pg.